Mark Wilcke negotiated the sale of a 15,097 SF industrial property, representing the buyer, Executive Investment, LLC, for $1.786 million. The property is located at 4148 W. Venus Way, Chandler, AZ. Kent Hanson of Cushman & Wakefield represented the seller, Tice Family, LLC. Jeff Adams negotiated the sale of a 2,608 SF office property, representing the buyer, WM Symposia, Inc., for $417,280. The property is located at 2152 S. Vineyard, Suite 102, Mesa, AZ. Tim Tapia of Upland Group represented the seller, TSIT Holdings, LLC. Rick Foss negotiated the sale of a 2,200 SF industrial property, representing the seller, Danny L. Miller, for $190,000. The property is located at 2434 S. 17th Place, Phoenix, AZ. Raymond Brown of Person to Person Realty represented the buyer, Ruben B. Solares and Mana T. Solares. Tyler Smith represented the tenant, Landmark Title Assurance Agency of Arizona, LLC, in a 78-month office lease for 5,105 SF at 2555 E. Camelback Road, Phoenix, AZ. Patrick Boyle of CBRE represented the landlord, Esplanade Owner L.P.
Tyler Smith represented the landlord, Pacifica Palm Valley Center, L.P., in a 63-month office lease for 5,473 SF at 1626 N. Litchfield Road, Goodyear, AZ. Jason Moore of JLL represented the tenant, Jensen Hughes, Inc.
Chris Gerow, Shelby Tworek, Gabe Ortega and Patrick Anthon represented the landlord, The Market at Estrella Falls, LLC, in a 120-month retail lease for 2,500 SF at 1981 N. Pebble Creek Pkwy, Goodyear, AZ. Rich Andrus of Menlo Group Commercial Real Estate represented the tenant, ProSmiles Orthodontics, PLLC. Chris Gerow, Shelby Tworek, Gabe Ortega and Patrick Anthon represented the landlord, Queen Creek Fiesta, LLC, in a 60-month retail lease for 1,950 SF at 21545 S. Ellsworth Loop Rd., Queen Creek, AZ. 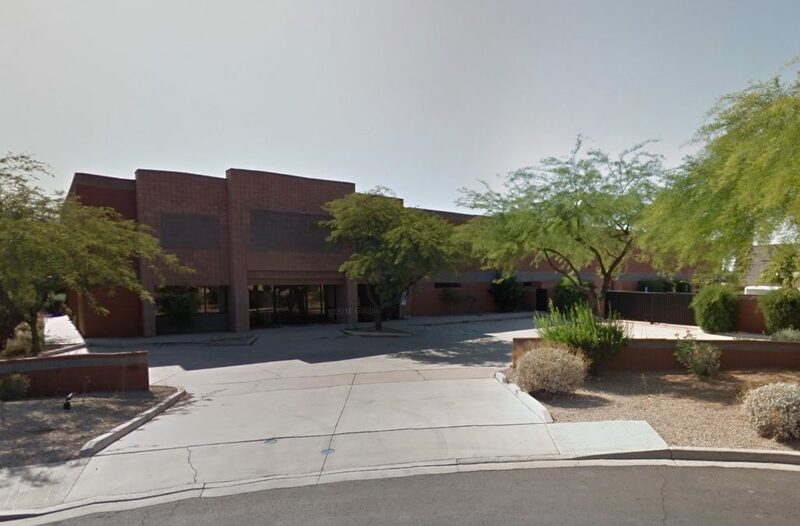 Sharon Reeves represented the tenant, Renew Sleep Solutions, Inc., in a 63-month office-medical lease for 2,309 SF at 5422 W. Thunderbird Rd., Glendale, AZ. Michelle Rae of Healthcare Management of America represented the landlord, HTA-Thunderbird Medical, LLC. Chris Gerow, Shelby Tworek, Gabe Ortega and Patrick Anthon represented the landlord, The Irving O. and Esther S. Kozinets Revocable Trust, in a 62-month retail lease for 1,400 SF at 1800 E. Apache Blvd., Tempe, AZ. Laurel Lewis represented the tenant, Crossroads, Inc., in a 39-month office lease for 6,200 SF at 1700 E. Thomas Road, Phoenix, AZ. Alexandra Loye of Avison Young represented the landlord, B&B Thomas Road Properties, LLC. Jeff Adams represented the tenant, Solar Traffic Controls, LLC, in a 37.5-month industrial lease for 4,800 SF at 1155 W. 23rd St., Tempe, AZ. Rod Crotty & Franklin Connell of Cutler Commercial represented the landlord, (Gary) Zimmerman Properties, LLC. Jeff Adams represented the tenant, Schetky Northwest Sales, Inc., in a 37-month industrial lease for 4,853 SF at 407 S. 107th Ave., Tolleson, AZ. John Cohn of CBRE represented the landlord, EJM Oxnard Commerceplex, LLC.